And that’s a wrap on probably one of the busiest months of my year, thank something. I started out the month pretty slow when it came to reading, and was pretty certain that I was going nowhere fast with the desired 10 books this month. By the second week, I’d only read two books, and I was two books behind on my Goodreads challenge. But then, I finished editing my novel, my life stopped being chaotic, and I read all the words. Review: This was so cute. It was such an emotionally charged little book, and I really meant to take longer to read it, but I got so wrapped up in it that I ended up reading more than half of it in one sitting. This was the tale of a boy who desperately wants to be out and wants to be free, but feels trapped by his family and his life. It follows him through his journey to discovering that his happiness is the most important thing in his life, and not his parents’, and that being who you are, openly, is never a bad thing. I enjoyed so much of this book. I loved that the main romance came in waves, that it wasn’t just the thing that cured everything, and that it wasn’t constant throughout the story. It was a very slow burn, and there was very realistic drama surrounding it. The characters were really well-developed, and I enjoyed following them on their journey to figuring themselves out. This was delightful, and definitely a must-read for anyone looking for more LGBTQ+ friendly books. Review: Erin bought me this for Christmas, as well as the sequel because she said I was going to get to the end and immediately want to read the next one. She wasn’t wrong. 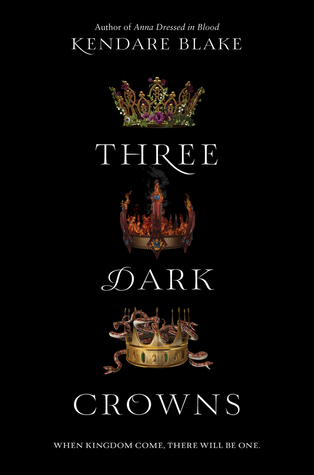 Three Dark Crowns has one of the coolest plots I think I’ve ever read. Every generation, a set of triplets are born. They are raised away from each other, and almost always fall into one of three categories: poisoner, naturalist, or elemental. When they come of age, they have a year to try to kill off their other two sisters and take the throne for themselves. Like, what. Come on, that sounds badass. And it was! I was constantly flip-flopping between who my favorite sister was, and who I wanted to win the throne. There were moments when I didn’t want anyone to win it, and I just wanted them to run off together and say screw it to the island. I definitely did end up with a favorite at the end, though, and I’m really, really curious to see how the sequel unfolds. I really enjoyed the world, the characters (even outside the sisters), and the plot was just phenomenal. So why only four stars? It’s for a really little thing, but this was first in present tense, and it honestly tripped me up every single chapter. It’s just not what I’m used to, and it kept pulling me out of the story. Review: Oh, this was delightful! I’ve been eager to read this book for some time, and I was really excited to finally pick up a copy of it. I love Collins’s work in film, and I was really curious to see what she would have to say. This book reminded me a lot of Secrets for the Mad by Dodie Clark, which I read in January and have linked my review for there. Again, I wish I’d really had this when I was younger. I think every teenage girl at the end of their high school career should read Dodie’s book, and then at the end of college, read Lily’s book. They pair together so well, and there are so many life lessons in there that I could not only relate to, but felt a great relief at for seeing that others have gone through similar things as me. 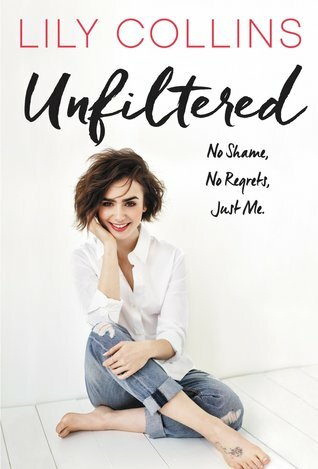 This is autobiographical, so it follows Lily from a young age until now, and it was really just lovely. Review: Oh man, oh man, oh man. This was GOOD. I actually gave the first one only four stars, but this definitely deserves five, and I’ll be straight with you, that’s because of Nikolai. I’m a little bit mad at myself for not having read these before the Six of Crows duology cos then the whole Sturmhund thing wouldn’t have been a surprise and I would have been able to see so much more, so now I’m definitely going to go back and reread the duology before I dive into the short story collection. 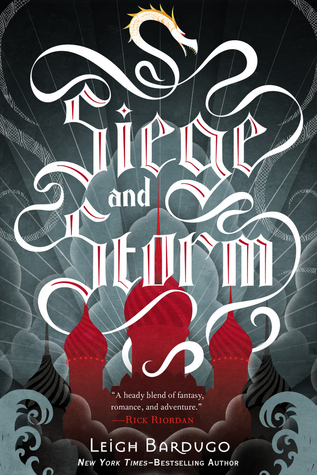 Seige and Storm is the sequel to Shadow and Bone, which I read last month, and which continues to follow Alina Starkov as she searches for the second amplifier and tries to continue evading capture by the Darkling (who I still love a little a lot because he’s such a damn good villain, whoops). This was really just so well done. 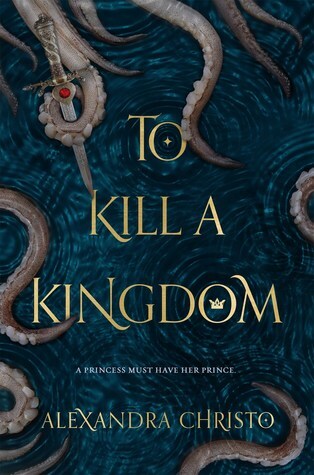 I loved every single second of it, and particularly the chapters at sea (for obvious reasons, and now I’m staying away from all books at sea since I want to write the first Saints spin-off so bad now). It hadn’t been that long since I’d read the duology, but I had completely forgotten that Sturmhund isn’t who he says he is, and every time Alina kept thinking his face looked wrong, I’d go, “wait, am I forgetting something? wait, is he someone cool?” So, the surprise at him being Nikolai was almost as grand as it was the first time. Goosebumps everywhere. Nikolai aside–this was really well written, the world continues to get more and more gorgeous with every book, and the characters have come so far from where they were in the first book. 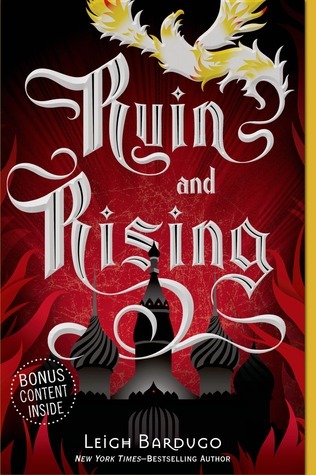 I’m really quite impressed with Bardugo’s early work, and I can’t wait to finish off this trilogy. Review: This was so damn good, and I can’t believe it’s taken me this long to read it. I didn’t even know it existed, and this would have definitely been a book I gobbled right up multiple times in high school. Speak follows the story of a young girl who is just beginning her freshman year of high school. Something has happened over the summer, though, and Melinda is starting this terrifying new adventure with no friends and without a voice. She must find a way to speak up, and to finally tell her story. This was written in such an interesting way, broken up by little snippets of Melinda’s daily life, almost like little vignettes or stream of consciousness. I truly wasn’t sure what had happened to her until we started getting details, and the way it unfolded was really well done. This is such an important book, and one that all high school students should read. It addressed so many issues that are prevalent during those years, and does it in a very believable way. Review: Guys. Guys. I found another Ava Lavender. 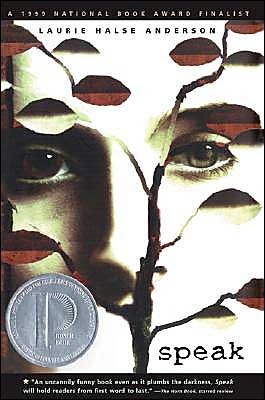 The Strange and Beautiful Sorrows of Ava Lavender (linked there because WOW) is a book that I read in 2016, so there’s no review on this blog for it, but let me tell you. That is now my staple for gorgeous language. I’m always looking for another book that might come even close to as beautiful as that was, and I’ve found it. GUYS. 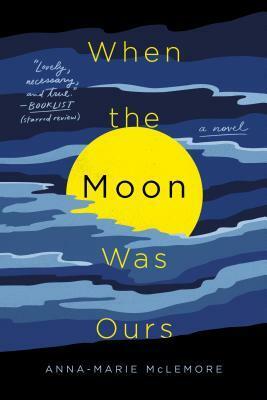 When the Moon was Ours is one of the most exceptional books I’ve read. Ever. I don’t think I can accurately express how wonderful the language in this is–it’s beyond words. I was hooked immediately, and I could not put this down until I’d finished it. Like Ava Lavender, the intertwining stories of Miel and Sam are less about the plot and more about the way McLemore describes their lives. The small and big details are both found in the language, and though there is a definite plot happening, it was not what drew me in. I can’t say it enough. The language in this is outstanding. It is leagues above every other book out right now. It is magnificent. Read it. And then read it again. Review: I liked this about as much as I sighed loudly at it. It was a real meh relationship because on the one hand, I really enjoyed the story, but on the other hand, man was it predictable as heck. I just really didn’t want it to end in romance. At all. Like, totally ruined both of their characters for me. This novel follows the story of Lira, a siren, who has her song taken away and is given human legs (sound familiar?) by her evil mother (who resembles an octopus, let’s be honest). She’s sent to the human world as a punishment with her task that of taking the heart of the golden prince of Midas, who, coincidentally, teachers her all about love and sorrow and other human emotions that Lira’s been trying to destroy. It’s The Little Mermaid, but with more violence and some pretty cool advanced technology and progressive topics. It was good, but I wasn’t surprised at all, and kind of bummed at the ending. Review: This was honestly like reading an episode of Magic School Bus. I didn’t understand half of what was going on, and didn’t really care for the other half. The story did not pick up where the first one ended, and I was confused for pretty much all of it. And upon finishing, I wasn’t really sure why any of it mattered. So why two stars? Because I liked the characters enough to keep on reading, and I’m still going to read the next one. And that’s all you’re getting out of me for this. 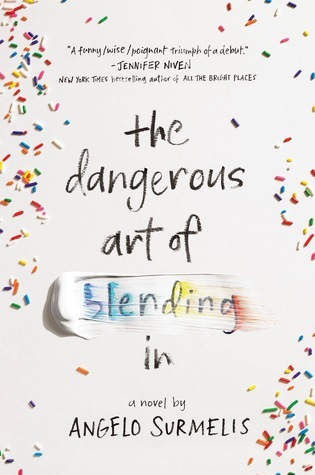 Review: Alright, listen, I know technically I finished this in May, but I really wanted to finish it before the end of April, so I’m counting it as an April read, so there. Guys, this broke my heart. In pieces. In little, jagged, painful pieces. I loved it so much. 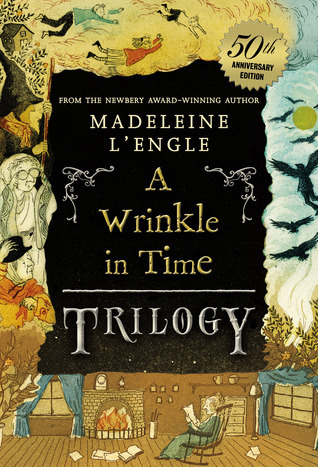 This was honestly the perfect way to end this trilogy, which is so interesting to me because the Shades of Magic trilogy had a vaguely similar ending, and it really disappointed me, but this–yes, this was great. I’m so happy about how this all wrapped up, though I think I’ll be a little bitter forever that Nikolai didn’t get the happy ending he deserved. BUT ALL IS WELL BECAUSE KING OF SCARS IS A REAL THING IN THE WORLD. Overall, I’m feeling very satisifed about this book, and I love it something fierce. Good riddance, April! It’s been a long, busy, sometimes hellish month, and I am not sad to see it go. May is already looking promising as the writing vibes start to kick themselves back into high gear. Putting City of Glass on my list again since I do still want to finish my TMI reread, but didn’t put Inkheart back on as I’m not sure I’ll get to it soon. Also WHAT WHAT, time to do a Six of Crows reread because holy smokes there’s so much I missed by not reading the Grisha trilogy first, what a dummy. The other three are books that I got this year. Here’s to a hopefully fantastic month!